What is AI & ML, and what does it all mean for you? We can deliver a wide range of educational and fun events to help you engage, prepare for, and embrace future technologies. Our ethos is to help you & inspire you. We encourage full participation from delegates, whilst we discuss both the piratical and ethical aspects of AI and the impact it is having on society, businesses and individuals. 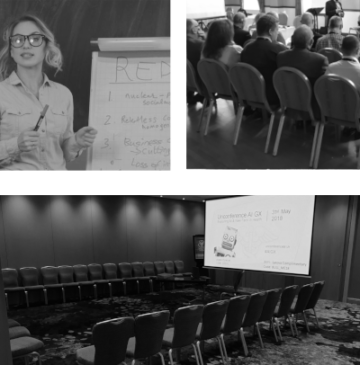 From introductory classroom training, covering the basic principals of AI with some hands on ‘real world’ elements, to unconferences, which require a high level of delegate participation and are always fun and thought provoking. Call us on 01296 821919 or contact us via the web to discuss your needs. If you need a keynote, session or conference speaker, to help inspire your audience by giving a thought provoking insight into AI and futurism, then look no further. We are able to understand your requirements, your goals and tailor sessions to suit your requirements.